We started the project looking at the neighborhood, an eclectic mix of Old and New – one of Nashville’s many neighborhoods that is undergoing tremendous growth and gentrification. The property itself, ripe with the smell of old beer, marijuana, and garbage had beautiful “bones”. It just needed a little tender love and care. We chose a refreshed material and color pallet for the project to match and blend in with the neighborhood and adjacent properties. 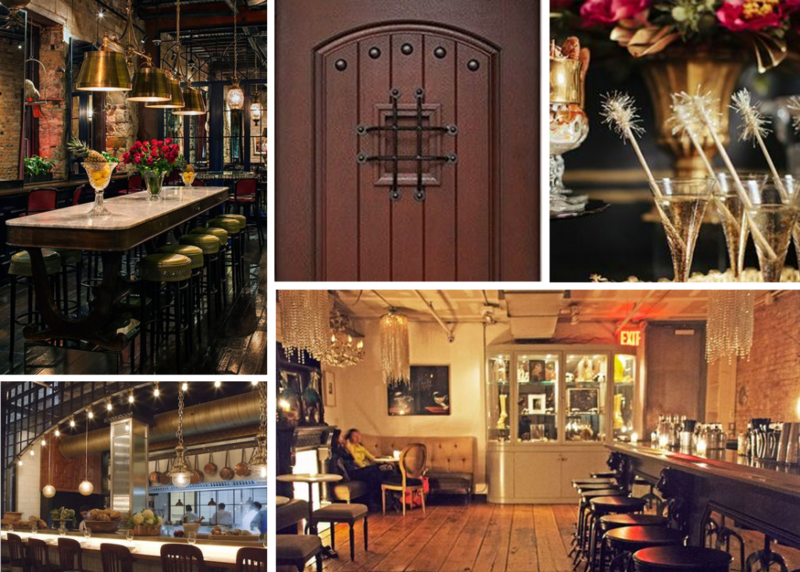 White washing the exterior brick renews the building and makes it Pop, while adding rustic and metallic elements scattered with dim lights and dark contrast was key to bringing the Speakeasy to life. We used feminine scalloped shapes, heavy masculine textured materials, scattered twinkling lights and touches of sparkle and fire throughout the design to exude the project theme. Element inspiration was taken from around town to stay true to Nashville’s character. Check out our Instagram to see some of the design elements incorporated in real life. Large barn doors, gas lanterns, reclaimed wood, whiskey barrels and decanters, and grand outdoor patio space all make this project a true to Tennessee hidden gem.